A few bits of news about geology, geophysics, and technology in the hydrocarbon and energy realm. Do drop us a line if you hear of something you think we ought to cover. The SEPM, which today calls itself the Society for Sedimentary Geology (not the Society of Economic Palaeontologists and Mineralogists, which is where the name comes from, IIRC), has upgraded its website. It looks pretty great (nudge nudge, AAPG!). 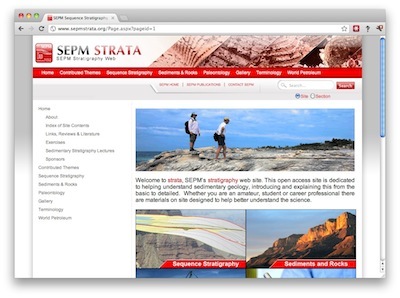 The awesome SEPM Strata, a resource for teaching and learning sequence stratigraphy, also got a facelift. Hat-tip to Brian Romans for this one. Helge Løseth of Statoil, whom we wrote about last week in connection with the Source Rocks from Seismic workflow, was recently in the news again. This time he and his exploration team were describing the Pleistocene extrusion of more than 10 km3 of sand onto the sea-floor in the northern North Sea, enough to bury Manhattan in 160 m of sand. The results are reported in Løseth, H, N Rodrigues, and P Cobbold (2012) and build on earlier work by the same team (Rodrigues et al. 2009). Yes, there's still tape. This story just caught my eye because I had no idea people were still using tape. It turns out that the next generation of tape, Ultrium LTO-6, will be along in the second half of 2012. The specs are pretty amazing: 8 TB (!) of compressed data, and about 200 MB/s (that's megabytes) transfer rates. 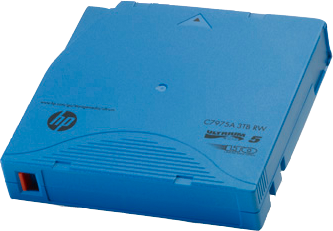 The current generation of cartridges, LTO-5, cost about $60 and hold 3 TB — a similar-performing hard drive will set you back more than double that. Physics enables geophysics in lots of cool ways. CGGVeritas is using a 600 kW Green Revolution Cooling CarnotJet liquid cooling system to refrigerate 24 cluster racks in GRC's largest installation to date. In the video below, you can see an older 100 kW system. The company claims that these systems, in which the 40°C racks sit bathed in non-conductive oil, reduce the cost of cooling a supercomputer by about 90%... pretty amazing. Awesomer still, this server is using Supermicro's SuperServer GPU-accelerated servers. GPUs, or graphics processing units, have massively parallel architectures (over 1000 cores per server), and can perform some operations much faster than ordinary CPUs, which are engineered to perform 'executive' functions as well as just math. This regular news feature is for information only. We aren't connected with any of these organizations, and don't necessarily endorse their products or services. The cartridge image is licensed CC-BY-SA by Wikimedia Commons user andy_hazelbury. The CarnotJet image is from grcooling.com and thought to be fair use.